ACRTA was founded September 26, 1963. The first meeting was attended by 20 persons who organized and elected the first officers. By 1993 the organization held four luncheon meetings per year plus a summer picnic and had 222 members. The membership has grown to 435 in 2007. The activities and programs have been varied over the years and included helath care, school projects, community service and memorial services. The greatest interest from the beginning has been to, "Protect and preserve teacher retirement benefits and pensions." 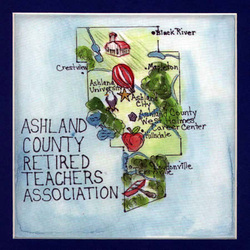 To that end there have been and still are presentations by the Ohio Retired Teachers Association and the Ohio Education Association on what is happening at the State level to benefit or harm retired teachers. We also take the time to have fun with programs wuch as a barbershop quartet and a theater/singing group from our local university. We now meet six times per year and this year we are scheduld to have an additional summer picnic.